The cost of college education is not shrinking – it goes up most of the time. Of course, the expenses of other important post-secondary schooling materials will increase especially the books. 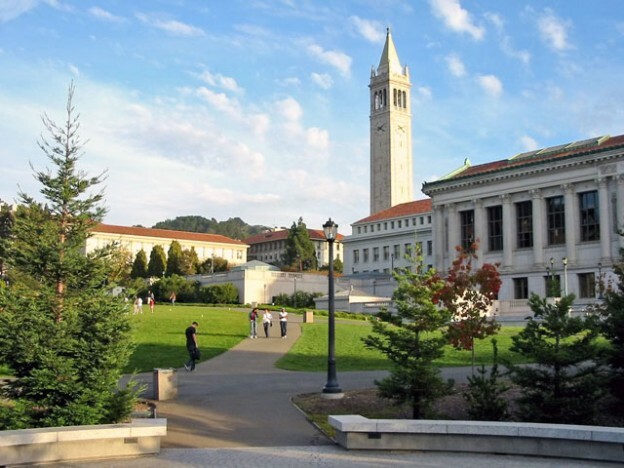 In a typical college education, having the right books can help students to be competitive. Although the Internet can help them excel in their studies, wrong usage of the World Wide Web will confuse college students. College students who do not have the extra money to buy hard copies of textbooks will have to rely on borrowing books from the library or classmates; however, it is possible for them to still read college textbooks online. There are several free college textbooks online all over the Internet. Most of the websites offering free to read college books provide unabridged copies – meaning they are complete. For college students, it is better to harvest the benefits of the Internet and the good deeds of such website operators/providers/contributors. In addition, it is better to read textbooks than reading online articles like that in Wikipedia because the textbooks are unabridged most of the time and the information within the textbooks is mostly factual and not just made up. If you need to read books about arts, photography, cooking, foods, business, computers, law, literature and fiction books, www.ebooklobby.com is a website to try. The interface of the website is plain and simple and the categories are already displayed in the main/homepage. However, just like the typical website offering free services, expect advertisements as you navigate the webpages. Nevertheless, when you open a book, it will redirect you to the host website of the book. In other words, this website is an indirect link to the read textbooks online. Another great resource for free college textbooks online reading that are unabridged is the www.bartleby.com. This website has been running since 1993 and the collections of free textbooks are increasing. It is easy to search in this website. You can search through the authors, titles or subjects. You have fictional and non-fictional textbooks here. The interface of the website is also simple and you can navigate easily. The webpages seamlessly open. You can also download some of the textbooks for free. Most of the books here are literature-based like anthologies, bibles, history and many more. 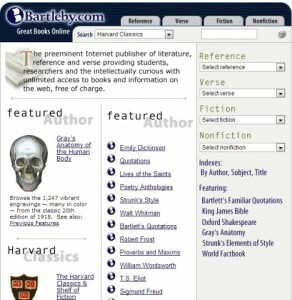 If you are majoring in literature, you can read hundreds of literary works at www.bibliomania.com. If you are a fan of Edgar Allan Poe, Shakespeare, Mark Twain and many more and want to read and learn about fictional literatures, short stories, and poems – this is the website to be. Another great feature here is that there is the research and study panel in which you can use to help in your reading and understanding. The administrators of this website regularly update their catalogs. This is another great website to read textbooks online for free. The www.fullbooks.com is offering free college textbooks online houses thousands of e-books that are complete in both fictional and non-fictional word including science, medical books a literary works. The interface of the website is very simple. The books are arranged alphabetically, particularly in their first three letters. It is easy to browse for the books you want to read in this website. One good thing about this website is that there is less advertisement so you can focus fully to the e-book you are reading. This website contains more than 100 online textbooks that you can read for free. Their free textbooks are categorized in five areas: economics and business, humanities and social sciences, science, mathematics, professional and applied sciences. You can read the textbooks online. There is also the option to download the book, but it will come with a fee. 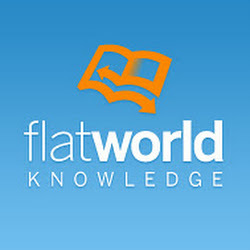 To fully enjoy and take advantage of the benefits from www.flatworldknowledge.com, sign up for free. Nevertheless, you can still read the textbooks for free without the need to sign up. This website has thousands of free e-books that you can download and even read online for free. The www.getfreeebooks.com is also like an indirect link to the main host of the books. It is easy to navigate the interface of this website as all the categories are displayed on the right side panel. Once you clicked the broad category, you will be redirected to the books under it. If you click a book, a summary page of the book will open and after the summary, the link for the full text reading or downloading is listed. From there, you can read or download the e-book. Take note that the books listed here are free at the time of listings and it may change depending on the host. If you major in science, mathematics, business or basically looking for textbooks that will help you in your virtual learning, www.textbooksfree.org is one of the websites to try. The website was created by Professor Walter Antoniotti and is sponsored by 21st Century Learning Products. The goal of this website is to provide assistance to college students to enhance their learning. This is also open for professional in enhancing their careers. The design of the website is simple and you can browse huge collection of textbooks here. If you want a website that has integrity, then this is the one you are looking for. 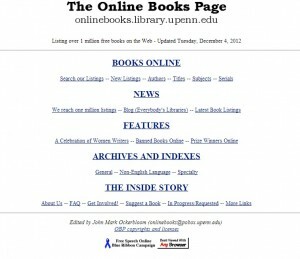 All of the textbooks here at http://onlinebooks.library.upenn.edu are sponsored and hosted by the University of Pennsylvania’s library. You can access it even if you are not a student of UPenn. The interface of the website is pretty plain, simple and basically straightforward. It is easy to navigate here and the subjects are listed and separated accordingly. The books here are geared for the college students or for those taking further education/graduate studies. 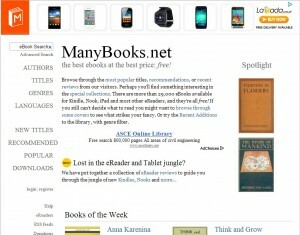 This website contains tens of thousands of e-books that you can download and read anytime and anywhere. If you have tablets or smartphones, you can find the right college textbooks here. To find your desired e-book here, simply click the genre tab to enter to the subject matters or to go directly to search the title or author. The http://manybooks.net got their e-books mostly from the Project Gutenberg DVD from November 2003. Project Gutenberg/PG (http://www.gutenberg.org) is the largest source offering free college textbooks online. You can read the complete book online or download them. The e-books here are free to read and download simply because their copyrights had expired. US college students can take advantage of it. Michael Hart, the founder of Project Gutenberg, is considered the inventor of e-books (he created the first e-book in 1971). The PG has more than 40,000 e-books that you can use and your own benefit. There are also audio books here. The website is easy to navigate and searching is fairly easy due to the panel located at the left. 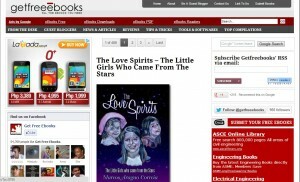 This is one of the best website providing free e-books.